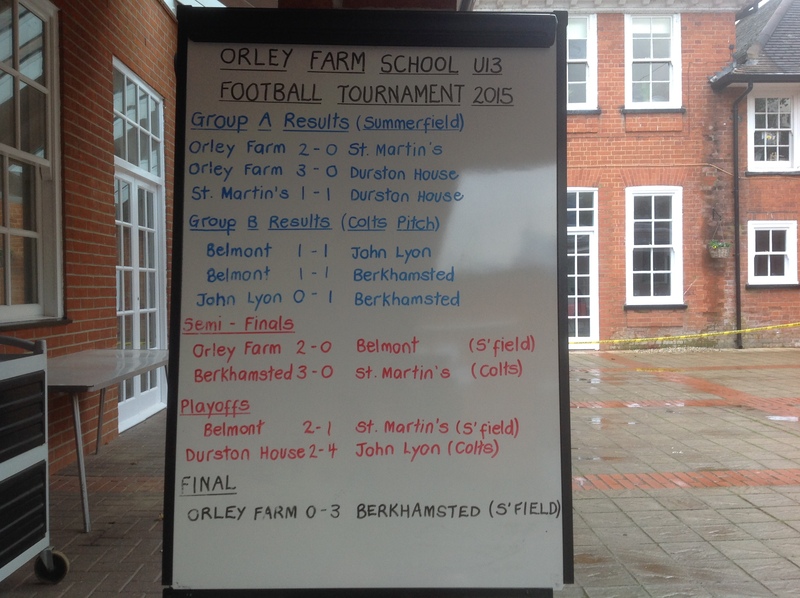 The weather was glorious as six schools joined us for our 34th annual football tournament. This is always such a good event as the boys get four matches in a day that test all levels of their performance, from fitness to skill, team dynamics to spirit and this was evident in the 29 goals scored. I would like to thank the coaches and parents from St. Martin’s, Durston House, The John Lyon School, Berkhamsted School, Belmont School and of course, our own home team! There was some super football on display played competitively but in great spirit. From our point of view, the boys put heart and soul into every game and having been unbeaten in our group we met Belmont in the semi-final, winning 2-0. However, the final proved to be a game too far with Berkhamsted winning 2-0. Congratulations to all of the teams who will be better for this early season tournament. Thank you to Mr Bloom for organising another fine event. I look forward to our return match with Berkhamsted next week as both teams will have a point to prove!